In fantasy, we create a better reality for children everywhere. Please Support our Kickstarter campaign to create a tabletop role-playing game to help children on the autism spectrum build valuable skills through play. Visit Critical Core on Kickstarter NOW! A table-top rpg game designed to develop social and problem solving skills one dragon at a time. 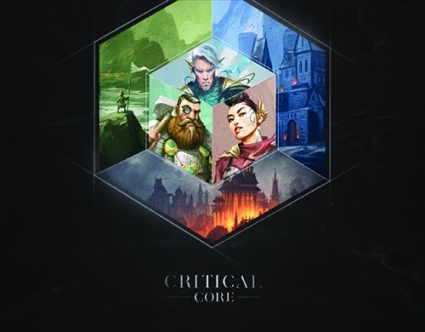 Critical Core is a therapeutic tool for kids 9+ in the form of a fantasy role-playing game. Developed by parents, therapists, and educators, it's an amazing new skill building tool that can be used at home or in the clinic. It can be tough for children on the spectrum to strengthen social and problem solving capacities in school and everyday life. And working with therapists can feel... well... like work, and the costs soon mount up. 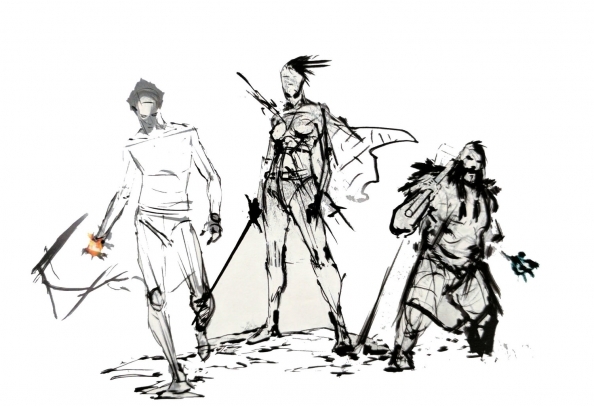 Critical Core is a game where players create fantastic characters and go on epic quests together. They're guided by a parent or therapist who acts as the 'Game Master' - part storyteller, part referee. A whole new innovative rule set developed along the DIR framework makes this more than just a game, but a valuable therapeutic tool for children on the spectrum. As they play, they learn, through challenges that are specially designed to help them strengthen key developmental milestones and skills that they can use in the real world, such as learning to work with others and concepts such as actions and consequence. Through the power of role-playing, kids can quickly test new ideas without the risk of 'screwing up' in the real world. Critical Core stories (we call them adventures) have been designed to strengthen common challenges faced by kids on the spectrum. The rules and mechanics of the game (taking turns, collaboration, consequences) are ideal for building confidence and social problem solving skills. Critical Core is built on established developmental frameworks, and distills seven years of practical gaming therapy experience into an easy-to-use format. Empowering, lasting results. Designed by professionals, parents, players and advocates. Build communication skills that help in real-world situations. Safe and fun environment to test new ideas. An effective tool that can be used at home. Connect and share experiences with their kids. Build relationships with siblings and peers. Designed by clinicians using a developmental frame of reference. Builds rapport quickly and adds excitement to group settings. Developmentally appropriate play activity that is fun, dynamic and taps into each child's inner drive. Skills learned while playing Critical Core last a lifetime. We're LIVE on Kickstarter! Check out the campaign page to learn more about Critical Core. All funds raised will go towards producing the physical game kit and making sure kids and families who stand to benefit can access Critical Core. Game to Grow’s therapeutic social skills groups help teens build real-life social skills using tabletop role-playing games. Founders Adam Johns and Adam Davis apply their 7 years of experience and best practices to the Critical Core project, so that the benefits of intentional gaming can be spread to an even wider audience. Associate Director of The Star Institute for Sensory Processing Disorder in Denver, Colorado. Virginia is a British trained Occupational Therapist with more than 20 years experience working in pediatrics. Virginia conceptualized and co-led the development of the Critical Core Project, defining the system within the established DIR Floortime™ framework of autism intervention. Andreas is a widely accomplished fantasy and science fiction illustrator whose clients include LEGO, Wizards of the Coast, and Cirque du Soleil. Andreas' scenic work provides depth and magic to Critical Core game content. Austin based freelancer and fantasy and science fiction illustration specialist. Grant breathes life into the characters of Critical Core, a crucial contribution for helping kids to engage with the game. The Interdisciplinary Council on Development and Learning is a not-for-profit organization dedicated to promoting each person's development to their fullest potential. ICDL was formed over 20 years ago to be the official home of DIR® and DIRFloortime, recognized as the next generation of evidence-based intervention for autism and other developmental challenges. The Critical Core project was initiated and developed by creative agency mcgarrybowen Greater China as part of an ongoing program to provide creative solutions for social good. I want to help bring Critical Core to life. Your quest begins now. Pledge your support to bring the benefits of role-playing games to the kids who need it most.